Do you have your blog badge yet? Click HERE to get yours! 1. Just a little while longer to hop along with us on the World Gratitude Day hop and leave a comment for a chance to win! 2. The ‘Fetti Finds from this week’s link list will be announced ON SUNDAY. This is due to the last day of the week falling on a Monday and that is when this month’s ‘FETTI FAVES will be announced. Penny and Stacey, grab your badge! Penny’s CAS style, bold blue paper and use of the chevron from the ARROWS ‘N ELEMENTS set caught my eye. 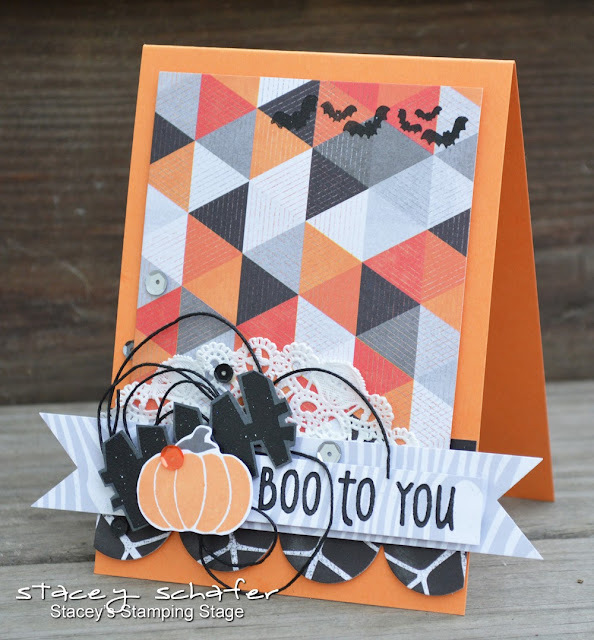 Stacey’s card using SPOOKY SENTIMENTS and SPOOKY CUTIES is absolutely SPOOKTACULAR! We want to see your Reverse Confetti creations! Post them here for a chance to win FREE STAMPS! The ‘FETTI FINDS from the previous week’s link list. A new link list at the bottom of the ‘Fetti Find post. It will remain open through Saturday of that week. <– FIND IT FAST: You’ll be able to find the current ‘Fetti Find post quickly by clicking on the button on the sidebar. The ‘FETTI FAVE will be announced here on the Reverse Confetti blog. This will be one of the ‘Fetti Finds from that month and they will be chosen based on their project and creative use of REVERSE CONFETTI stamps. The ‘FETTI FAVE will receive the ENTIRE NEXT STAMP RELEASE and be invited to play along with the Confetti Crew for sneak peek days and the new release hop. 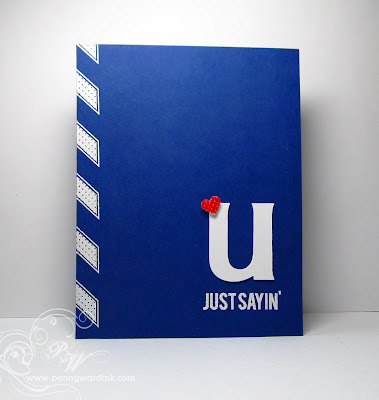 Anything goes, as long as Reverse Confetti stamps are the only stamps used OR are the main focal point of the project. No limit to the number of projects linked, but they must be posted to your blog or gallery that same week (no linking older projects).